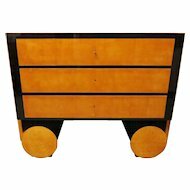 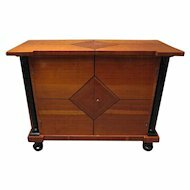 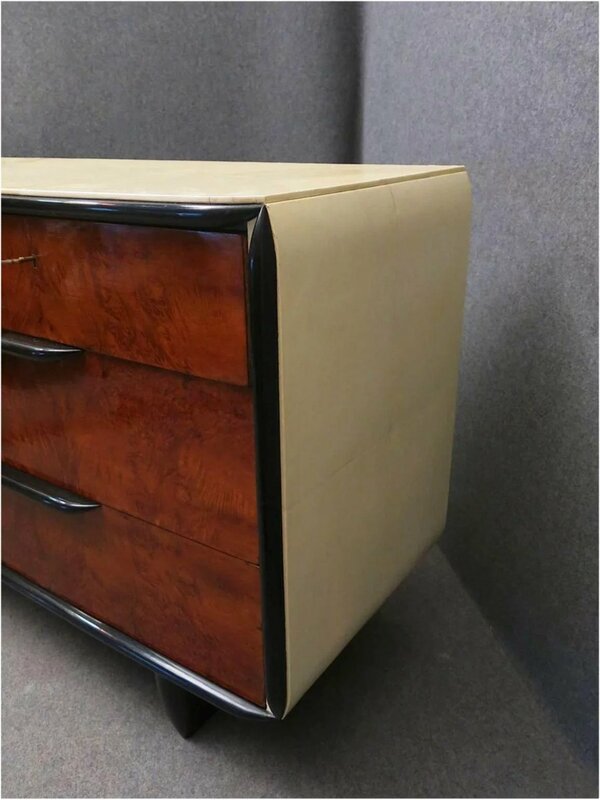 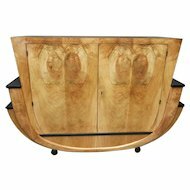 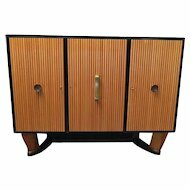 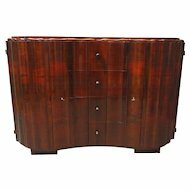 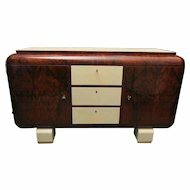 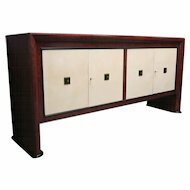 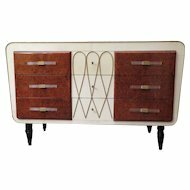 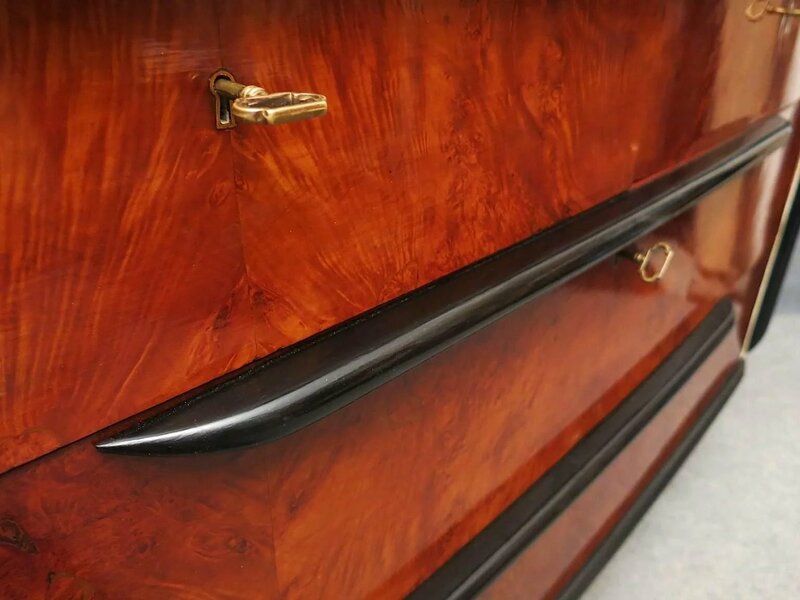 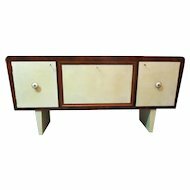 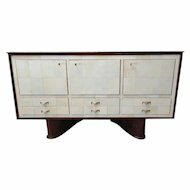 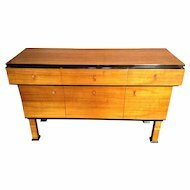 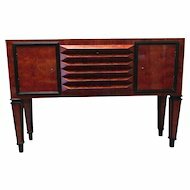 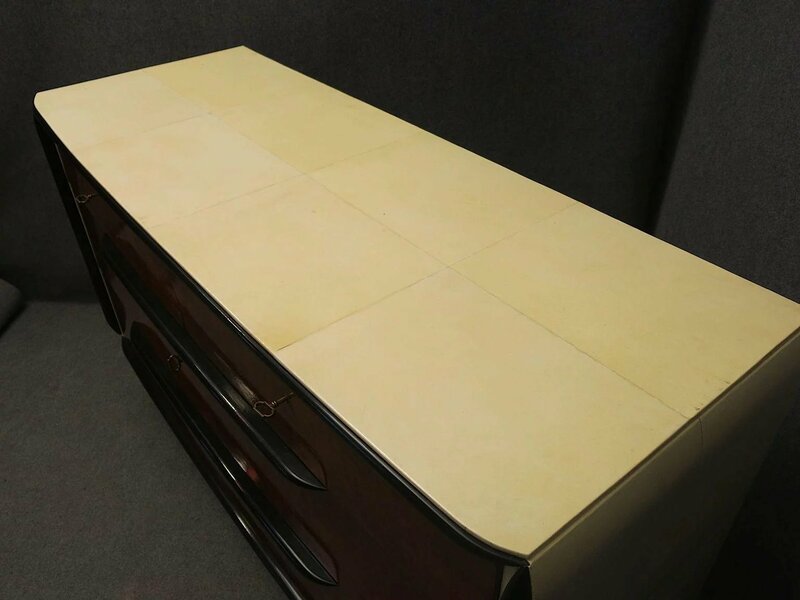 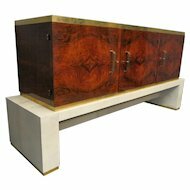 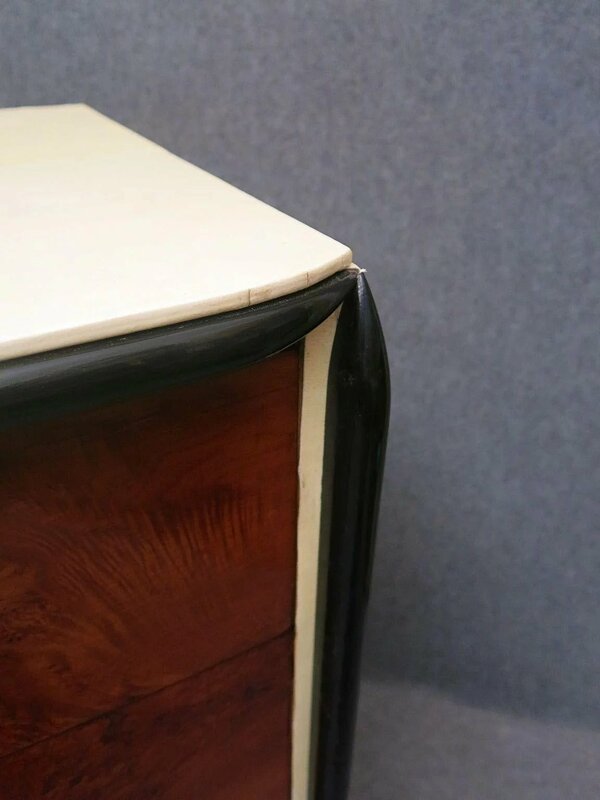 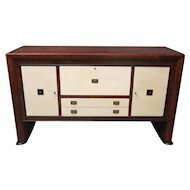 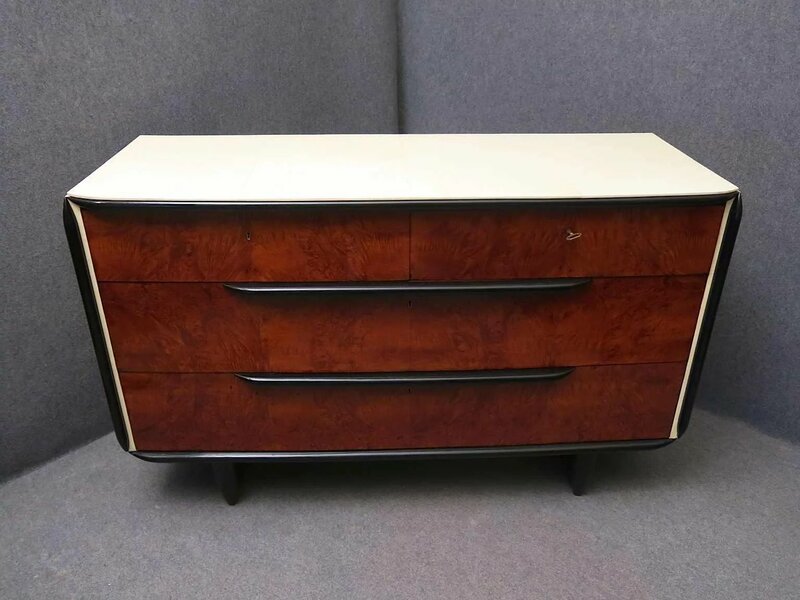 Art Deco Period Italian Dresser / Chest of Drawers in rich Walnut Veneers; with parchment top and sides and ebonized drawer handles and tapered feet. 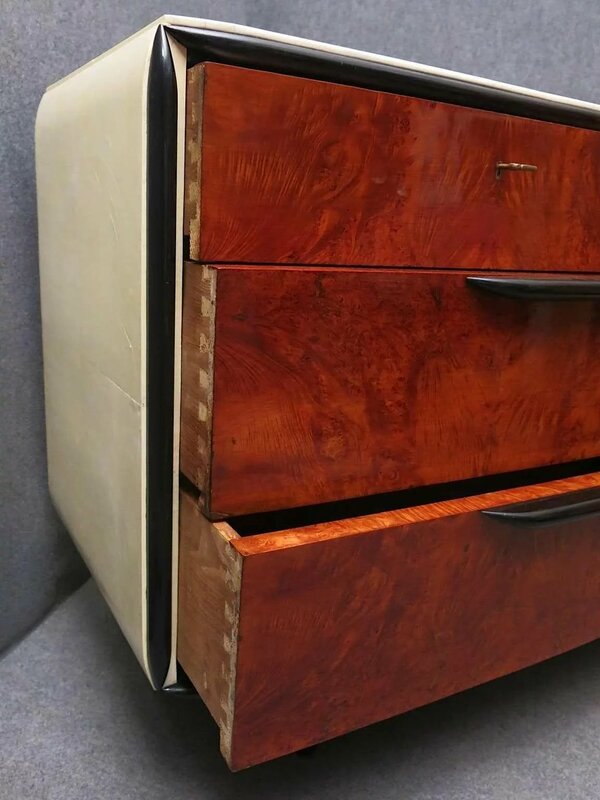 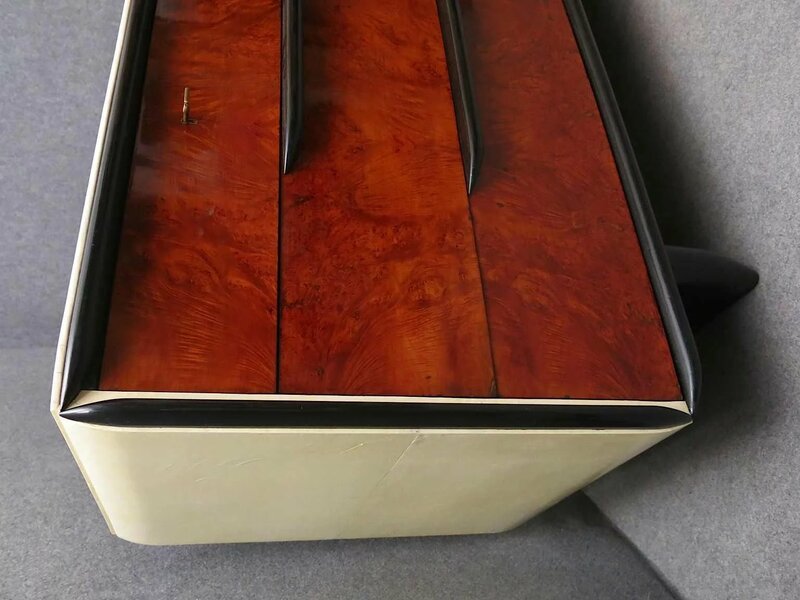 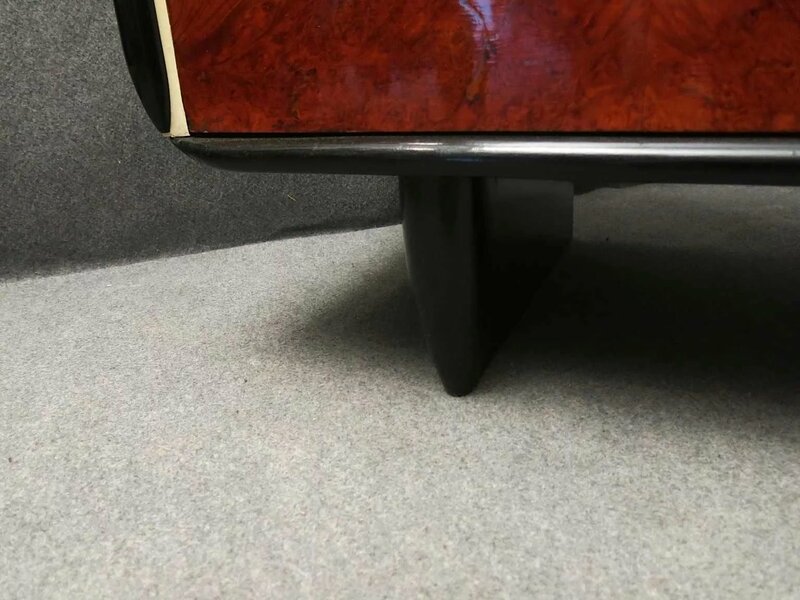 Drawers are very spacious. 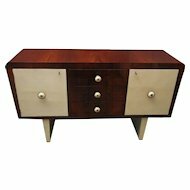 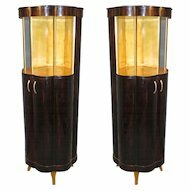 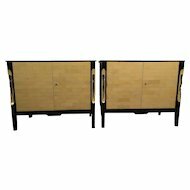 This piece exemplifies the Deco movement.